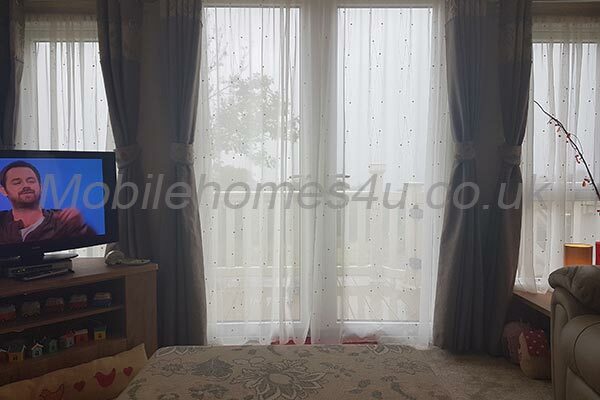 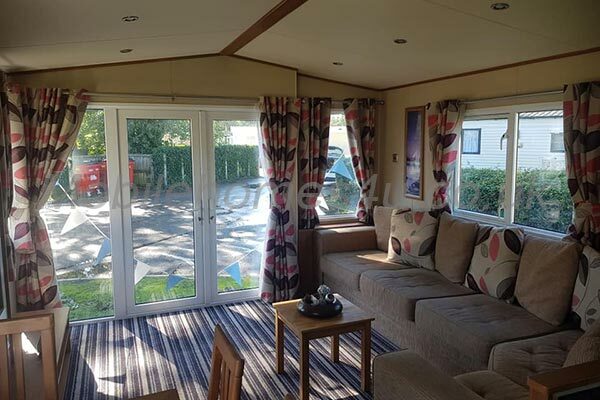 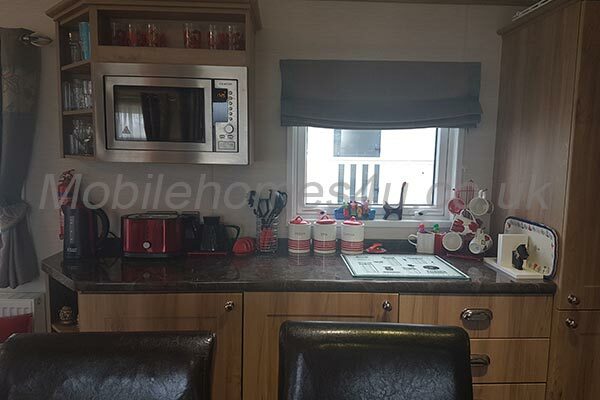 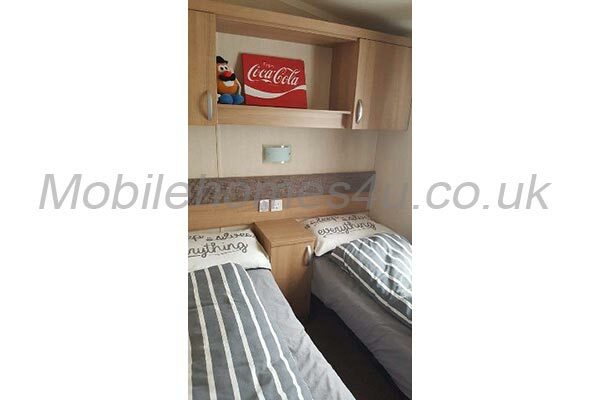 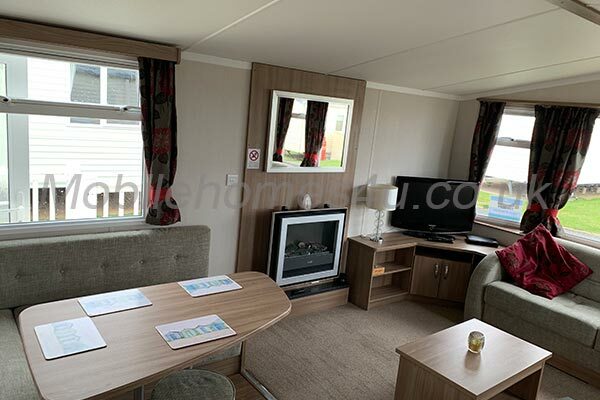 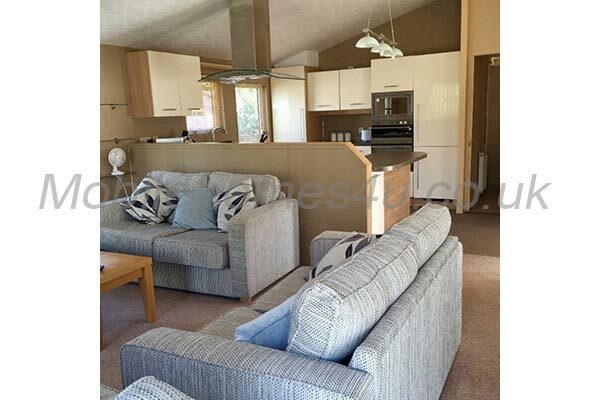 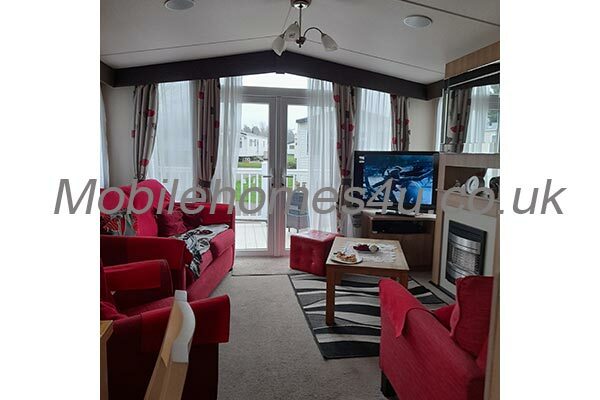 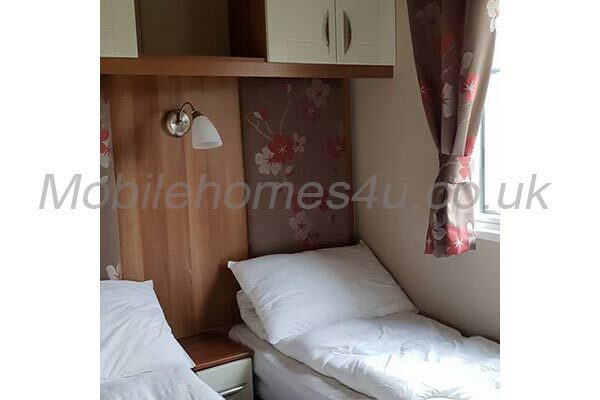 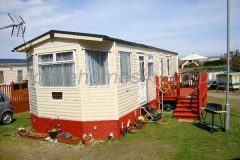 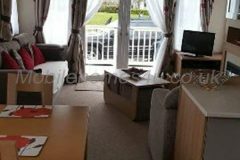 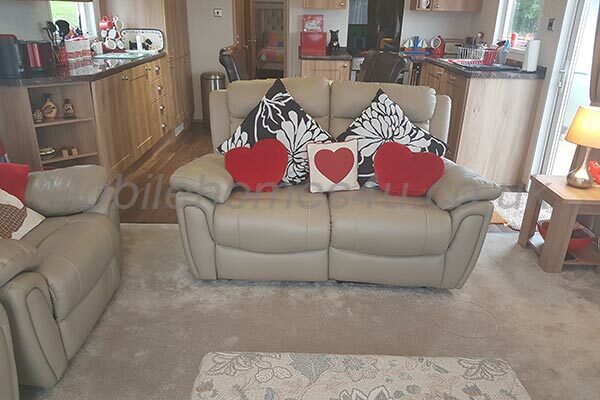 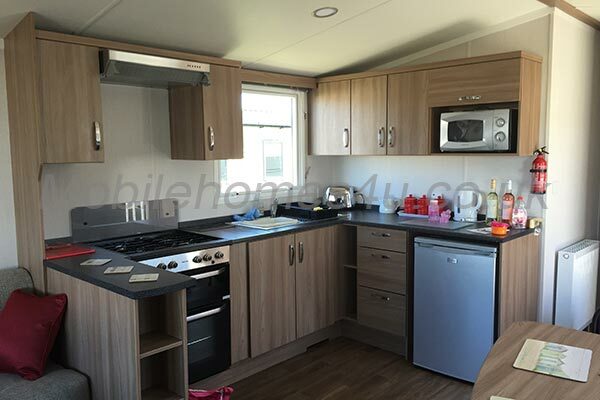 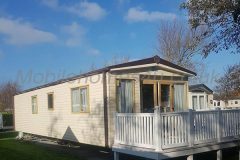 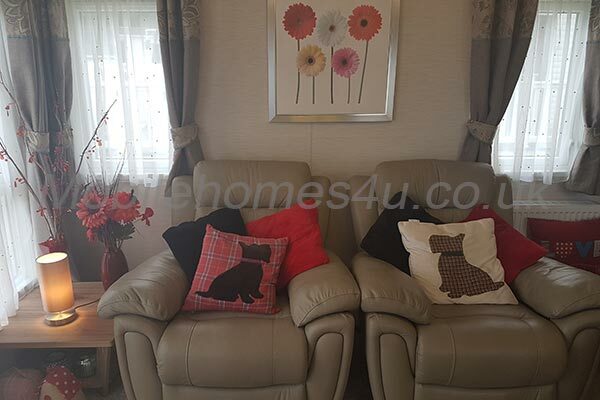 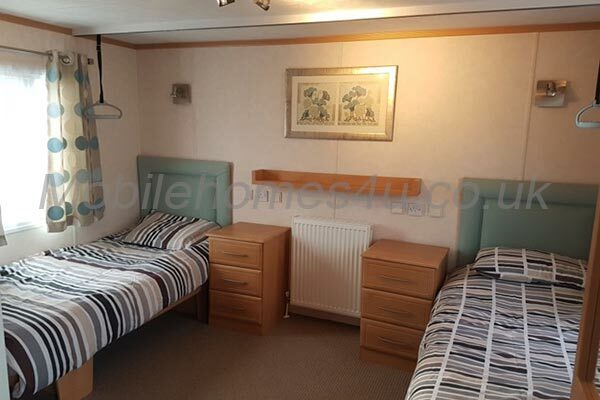 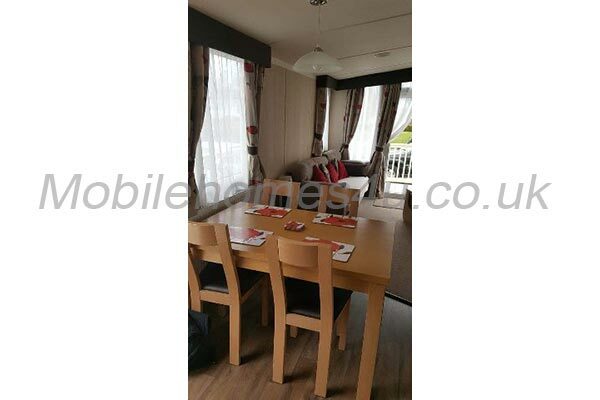 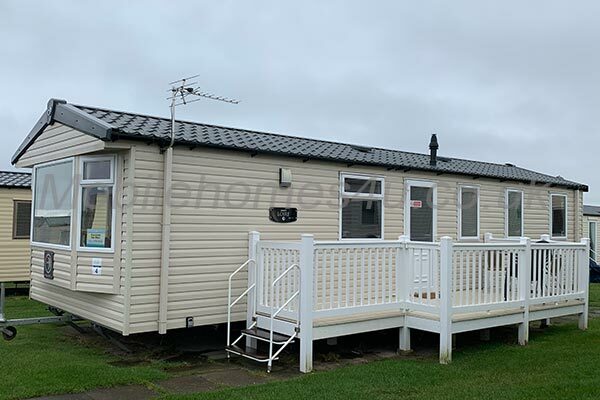 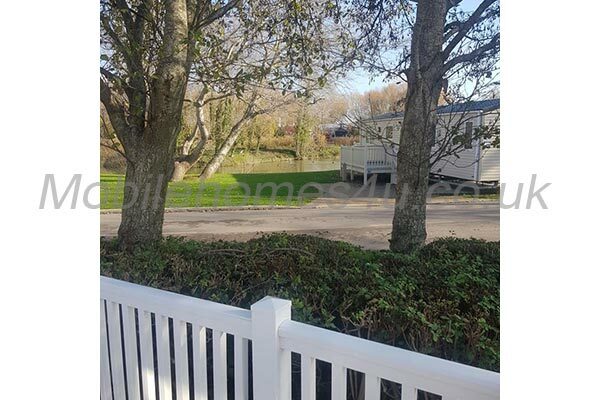 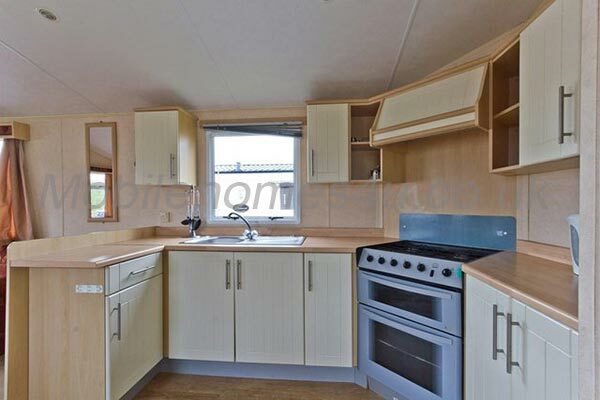 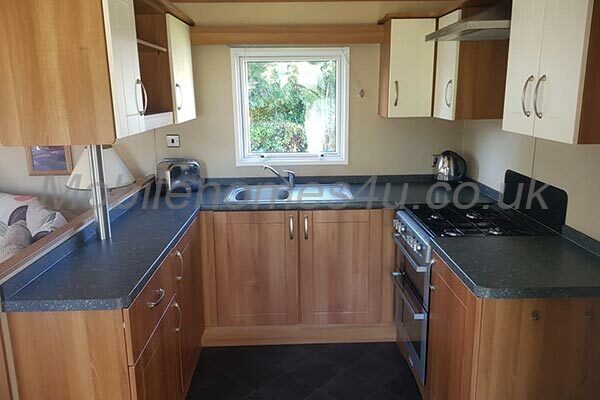 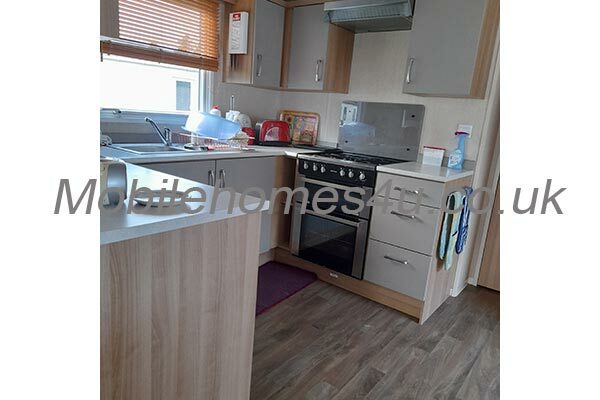 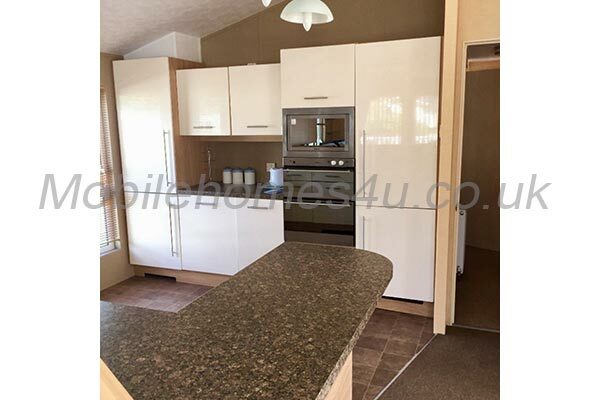 Our homely immaculate clean caravan with 2 bedrooms has just undergone refurbishment with new carpet all round, a beautiful new living room rug and New Venetian Blinds within the Living room and Kitchen areas. 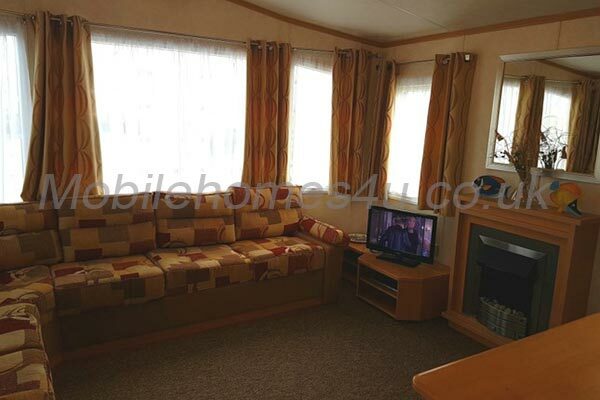 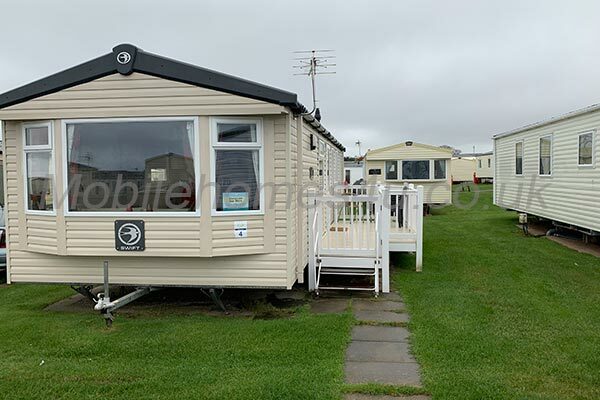 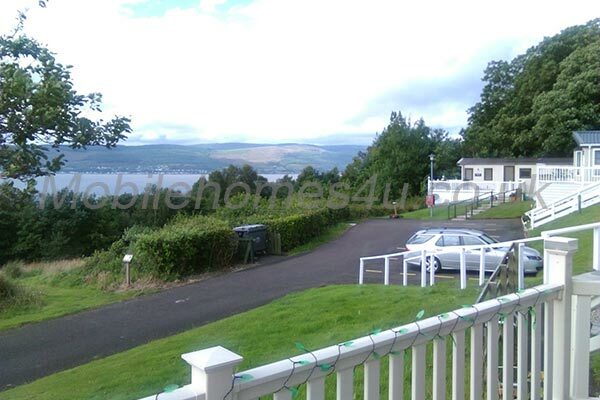 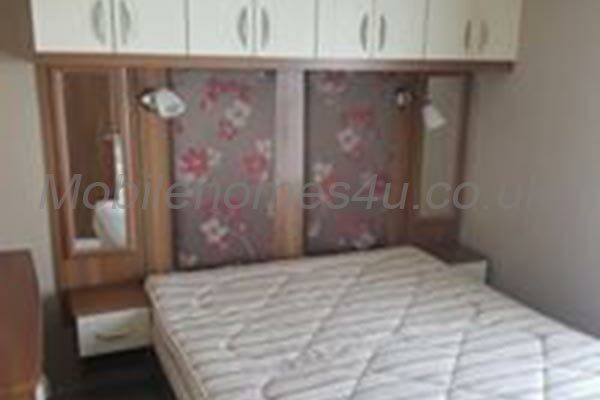 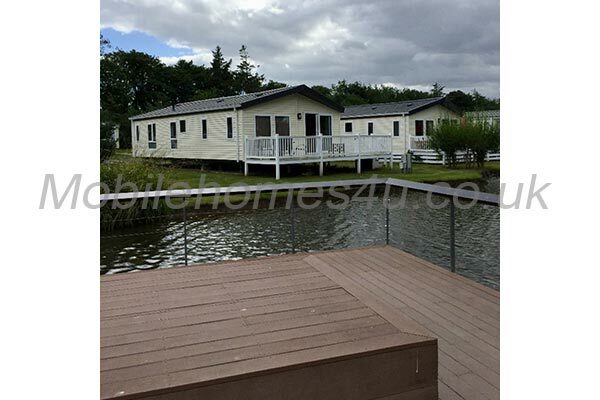 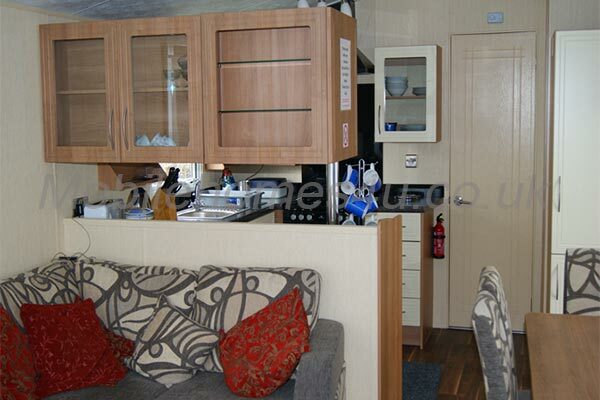 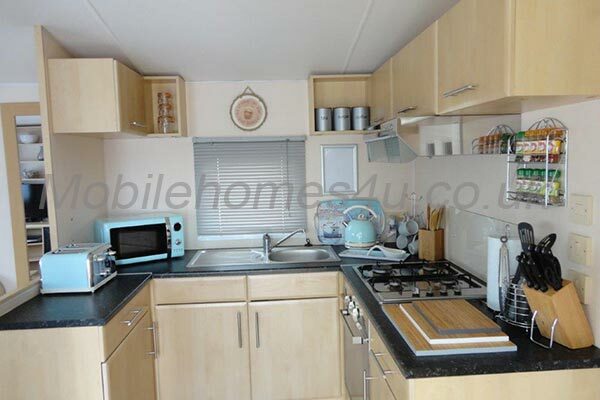 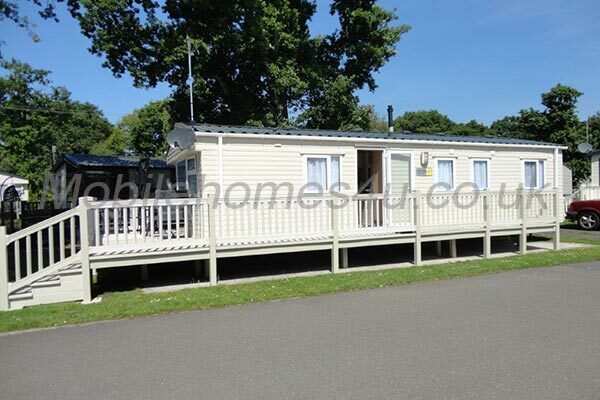 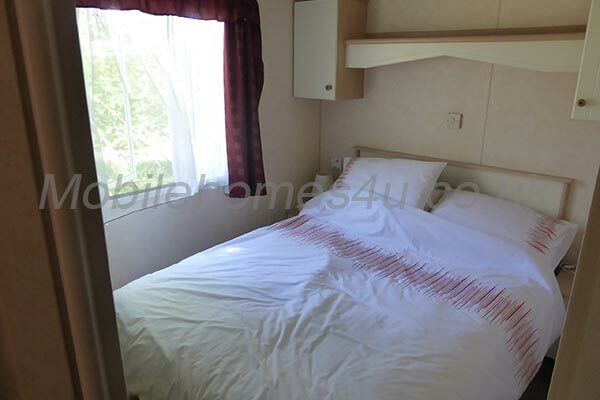 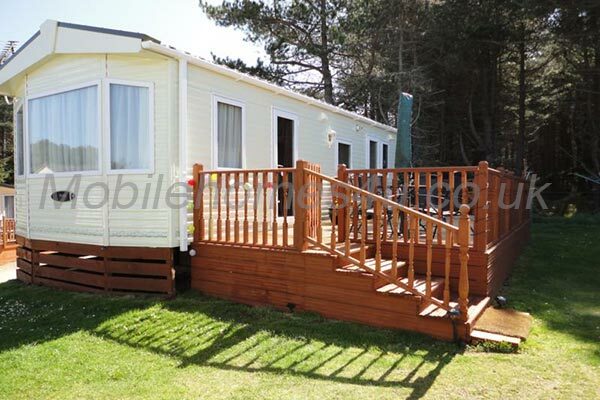 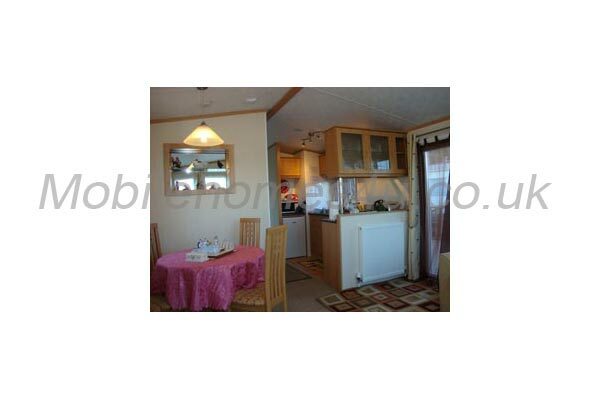 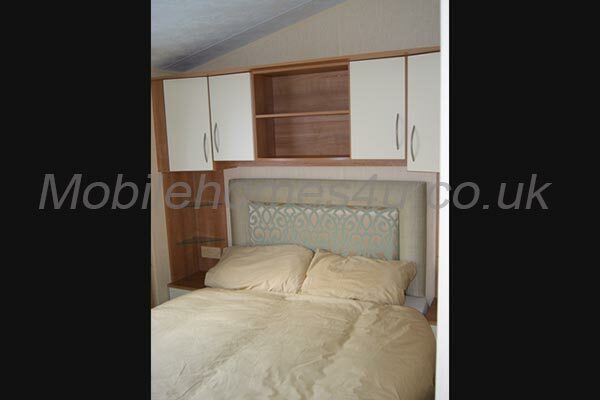 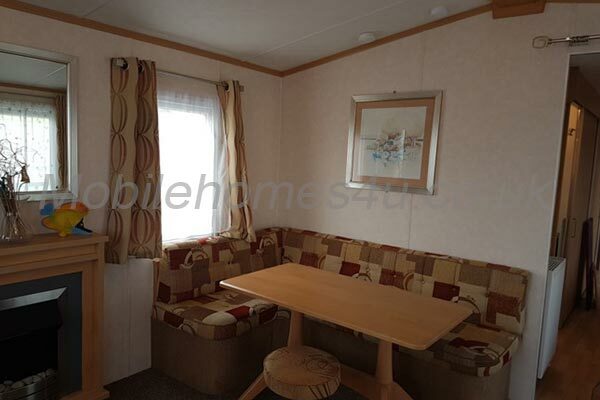 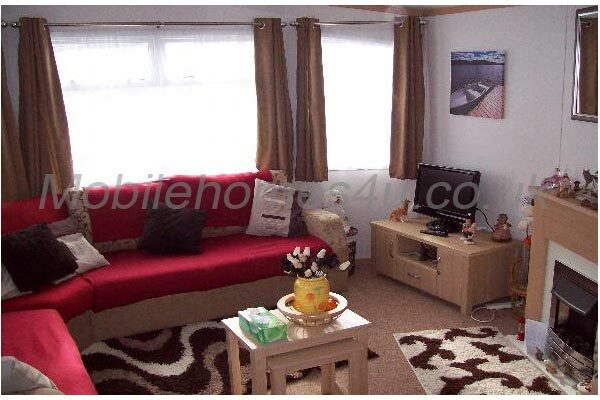 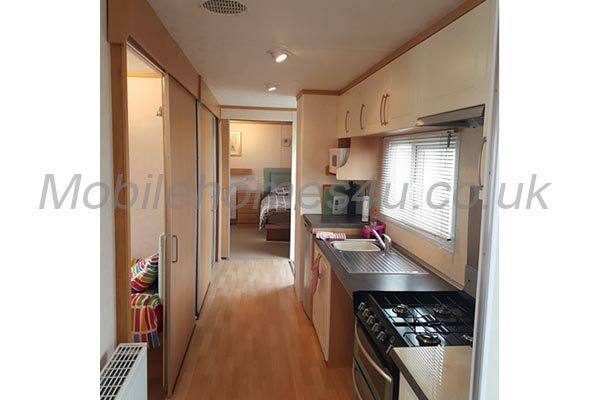 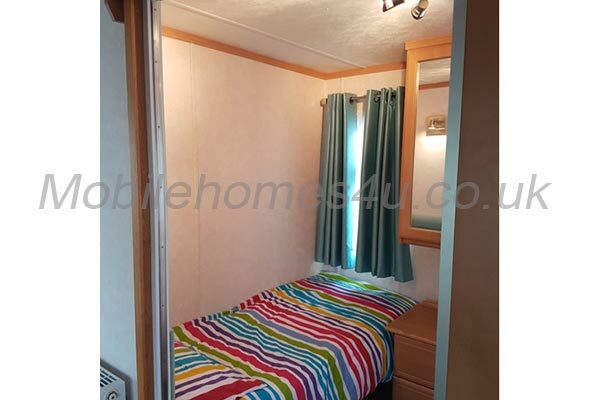 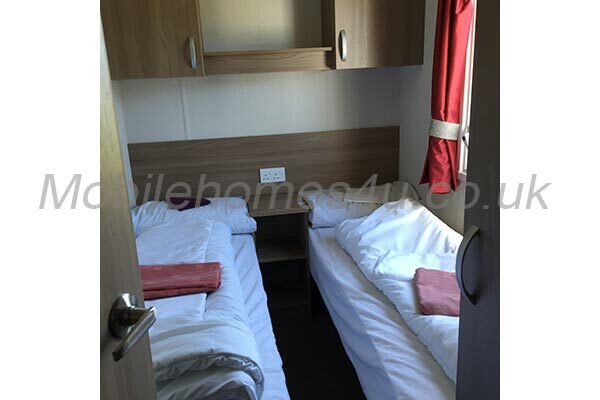 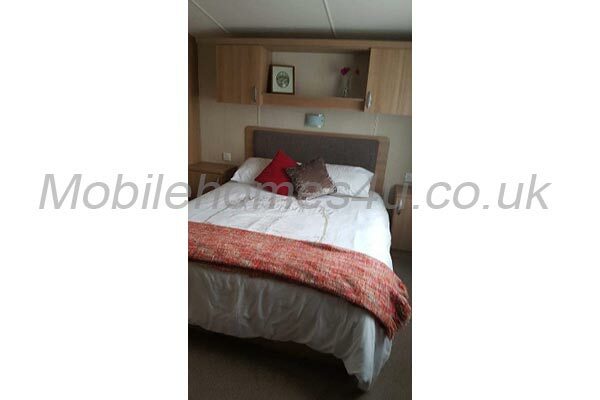 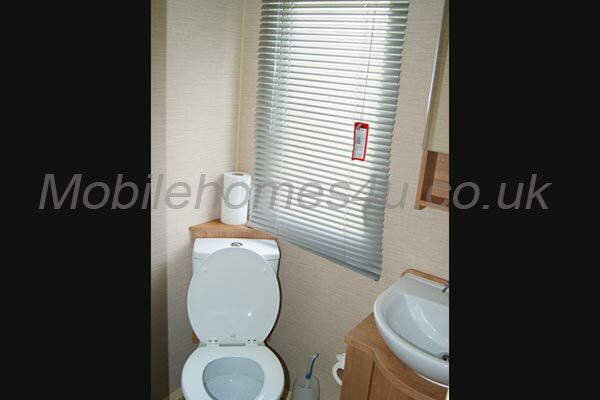 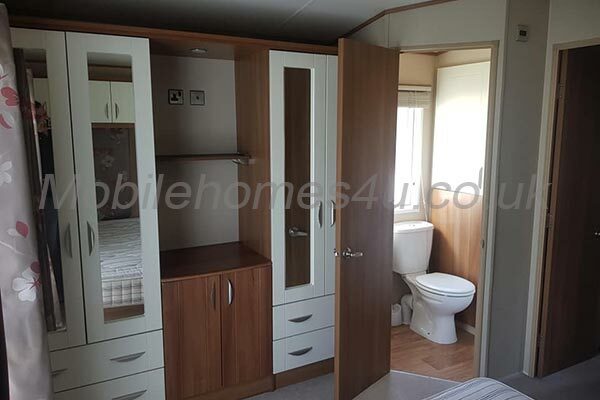 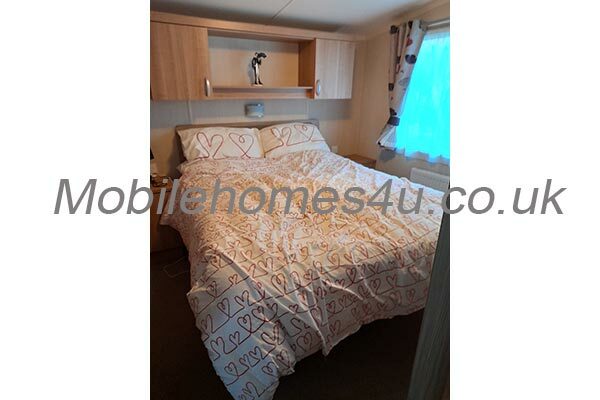 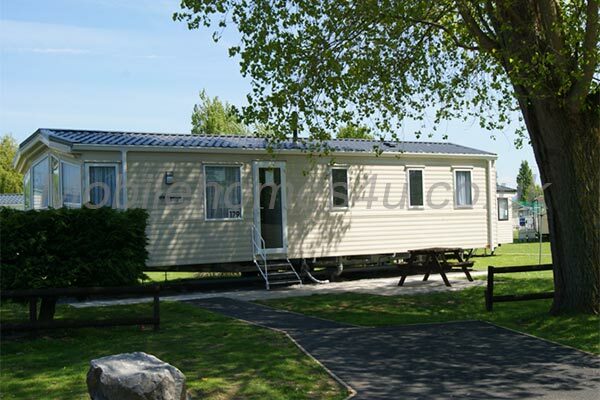 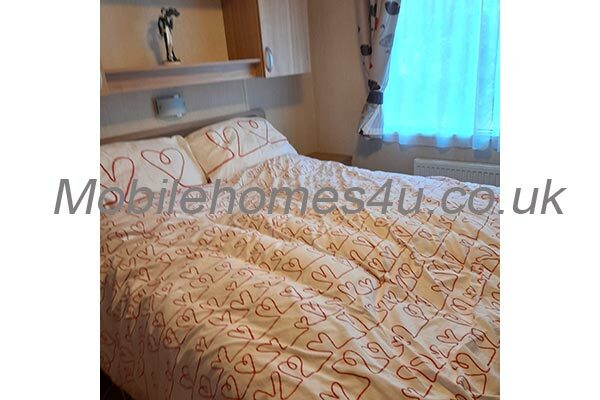 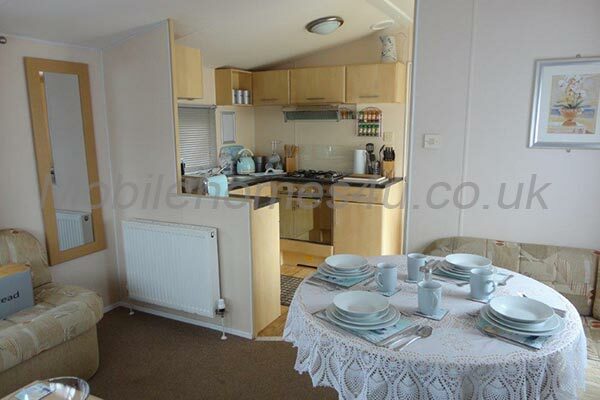 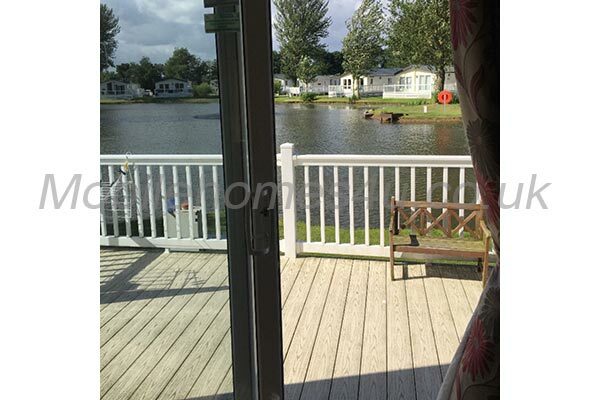 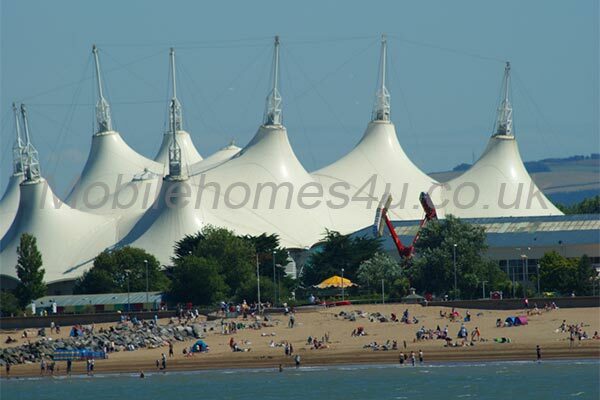 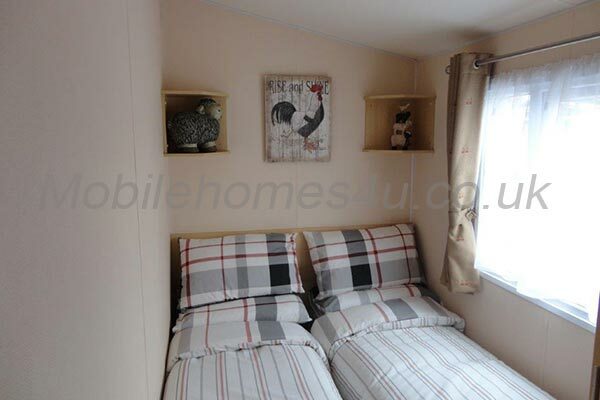 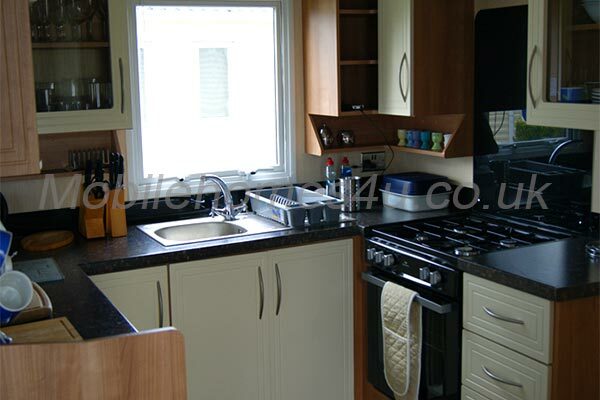 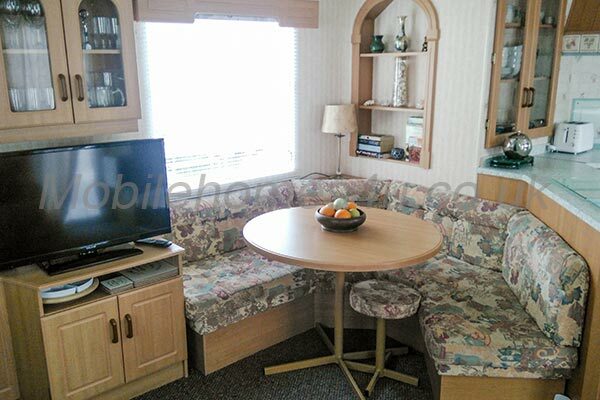 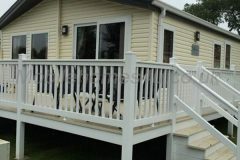 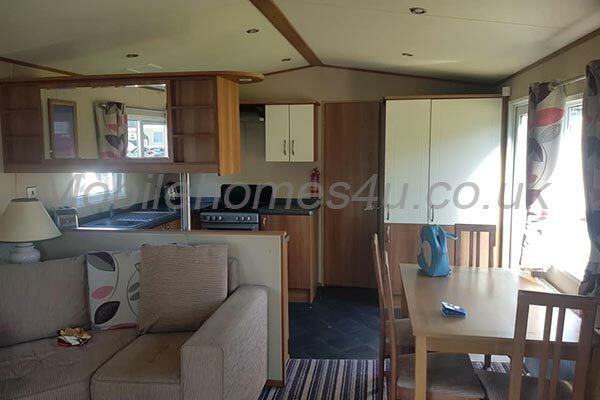 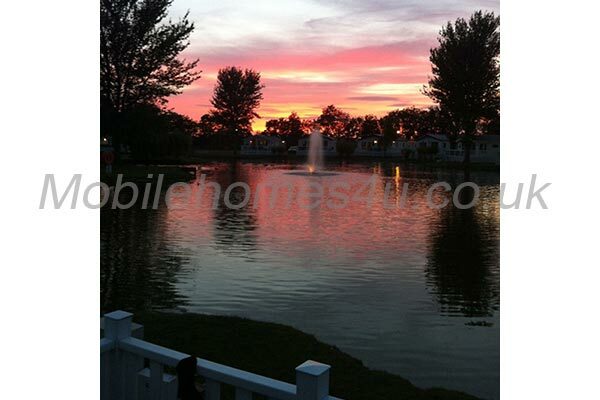 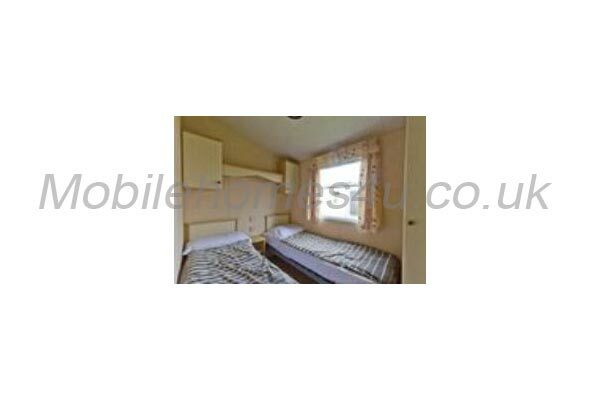 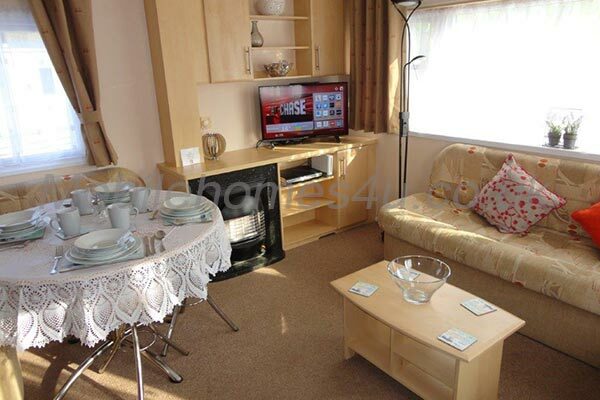 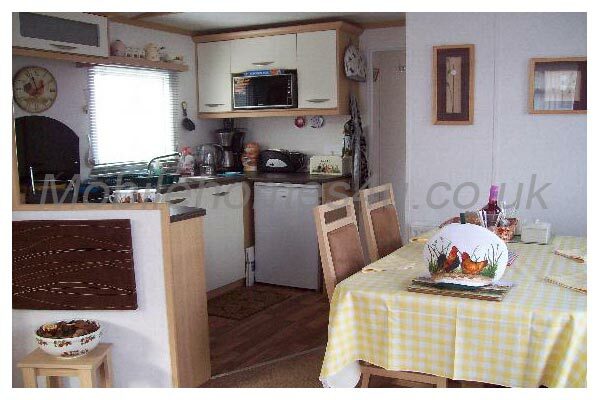 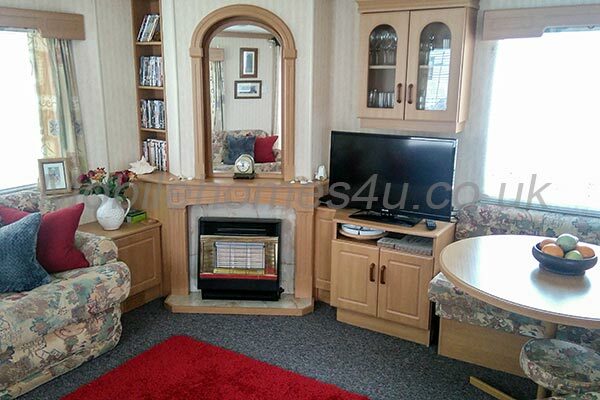 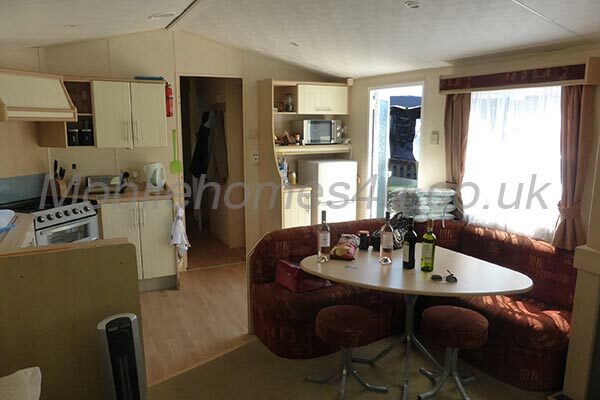 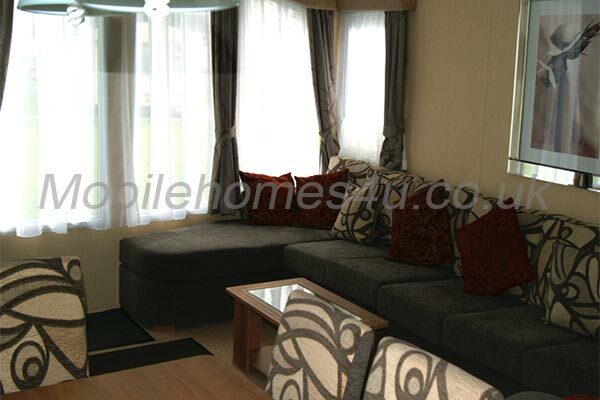 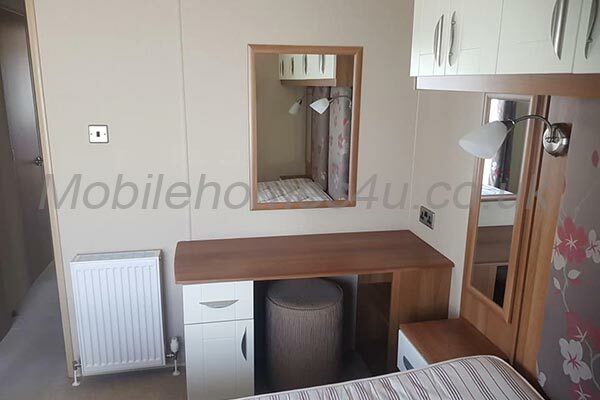 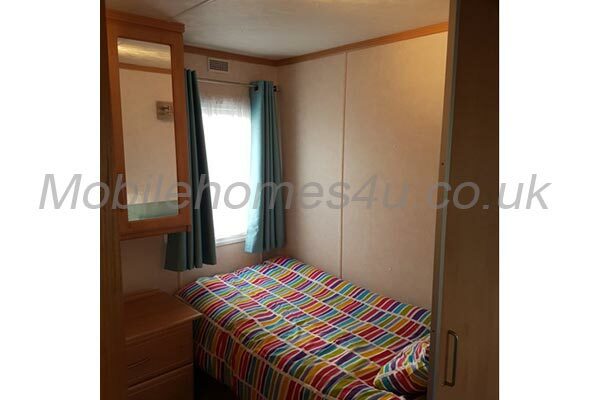 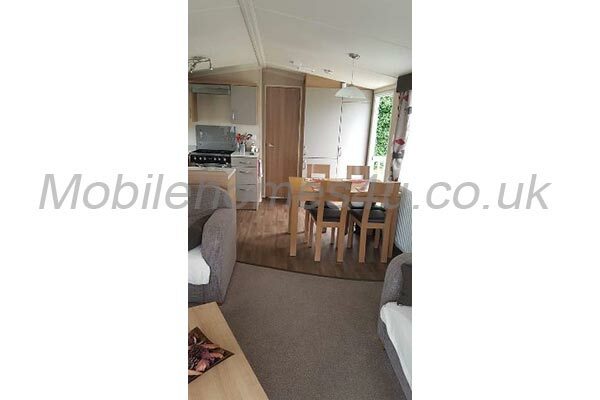 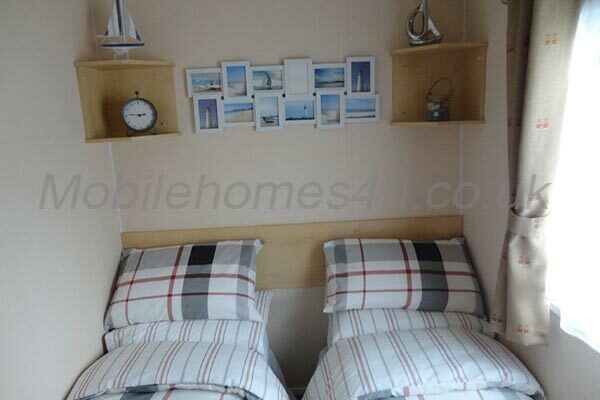 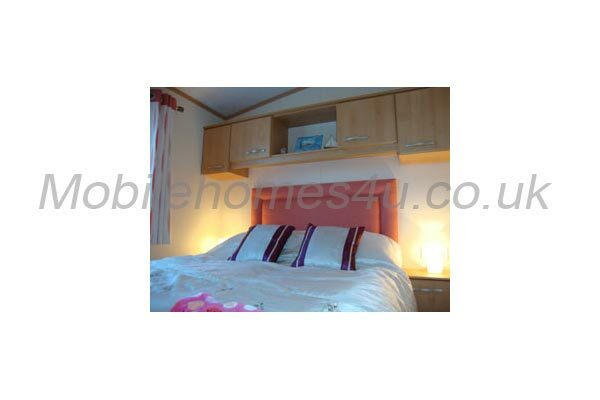 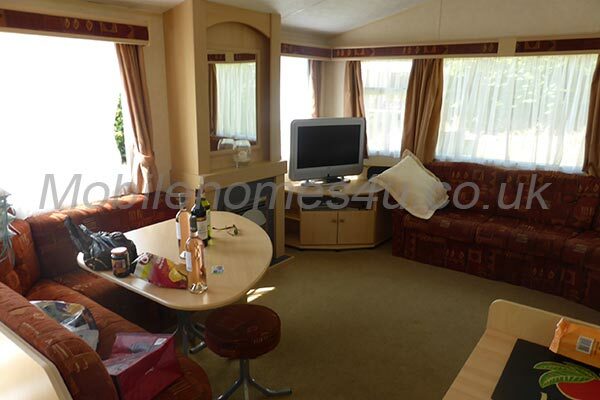 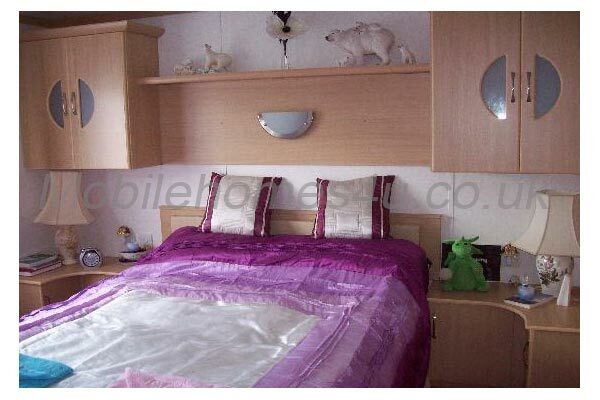 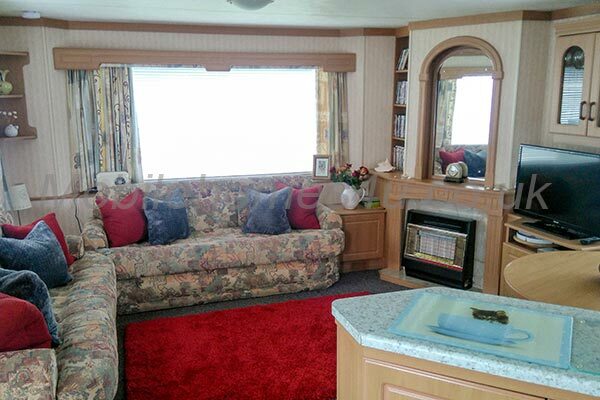 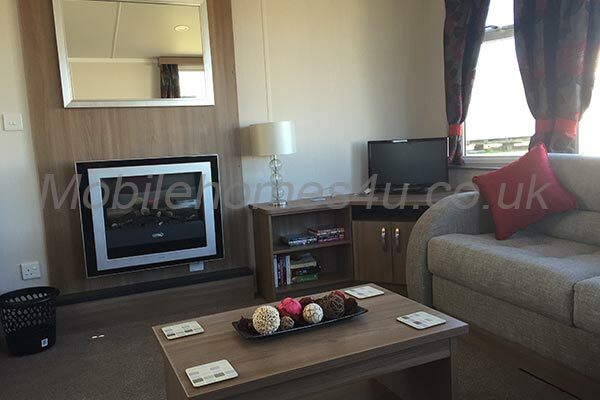 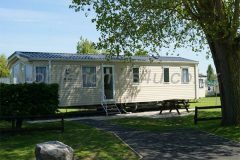 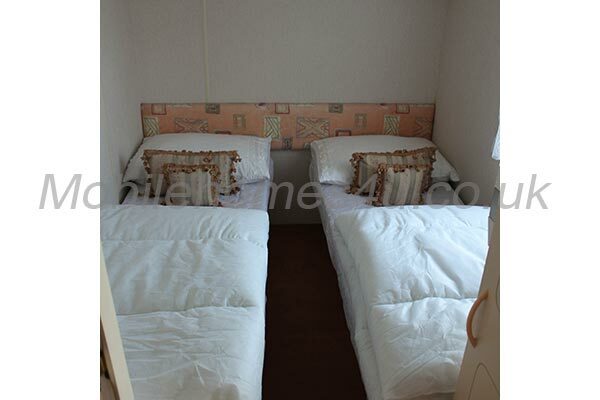 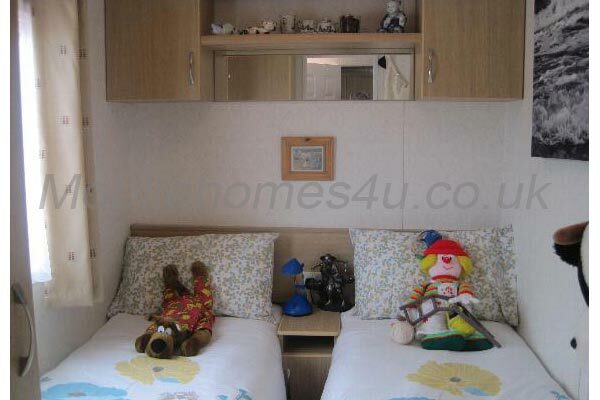 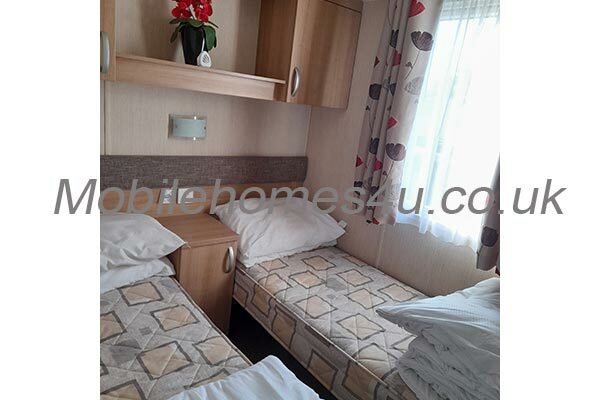 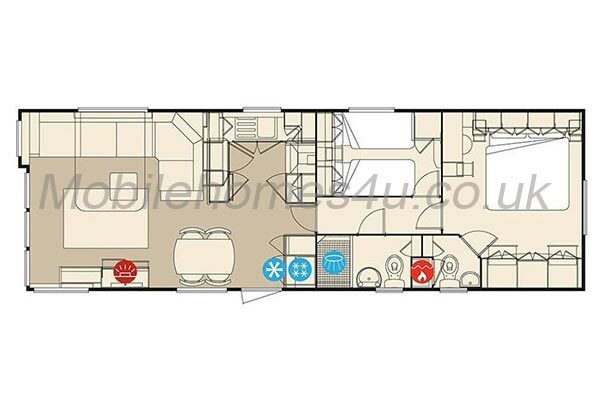 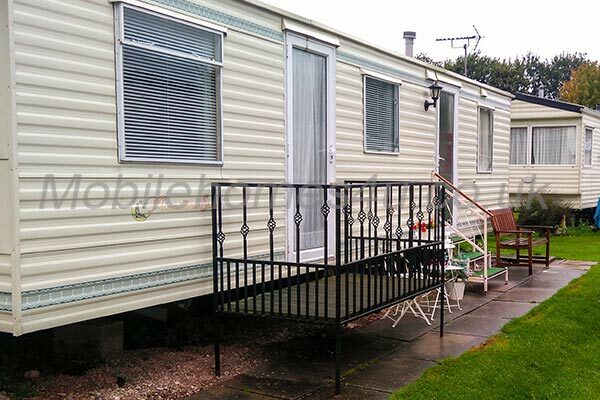 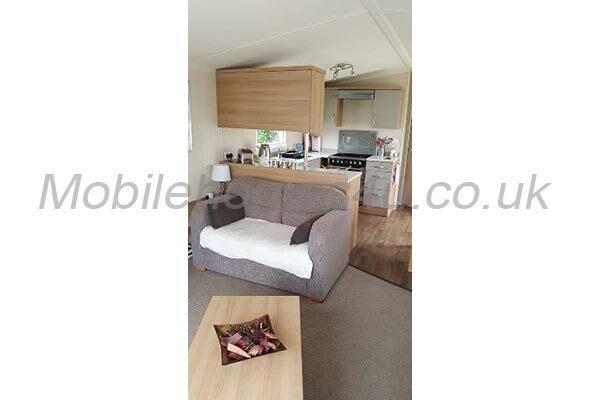 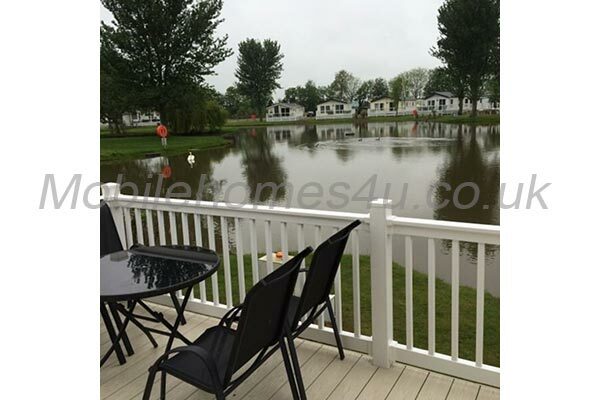 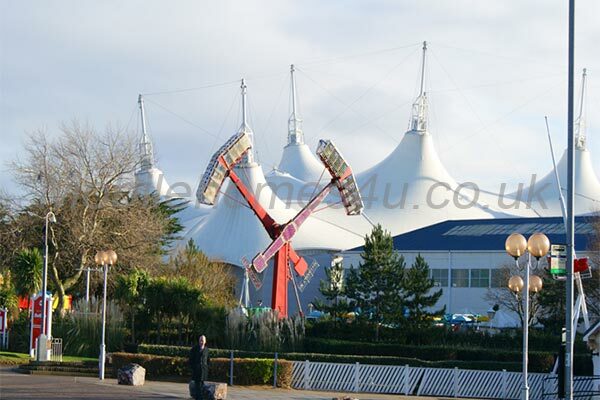 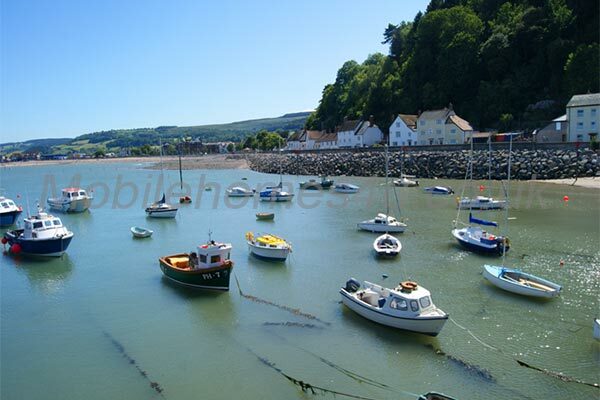 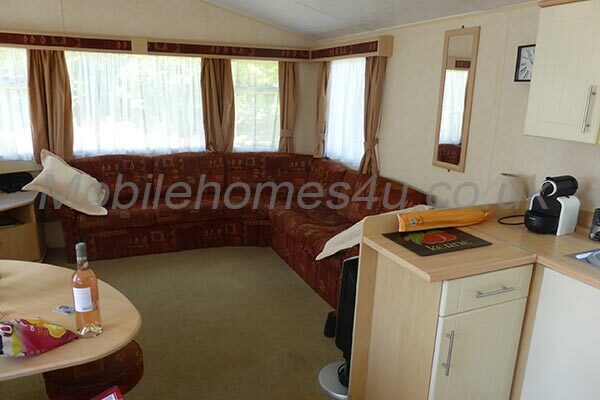 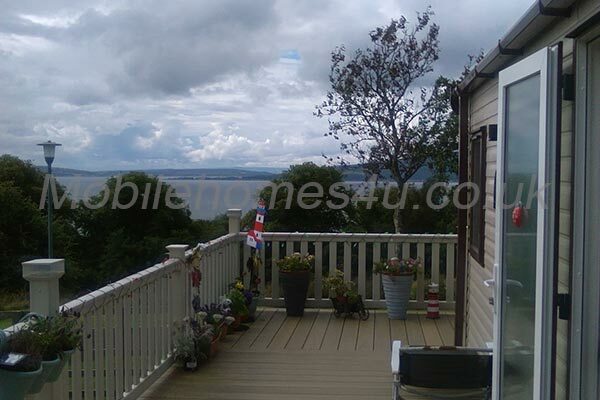 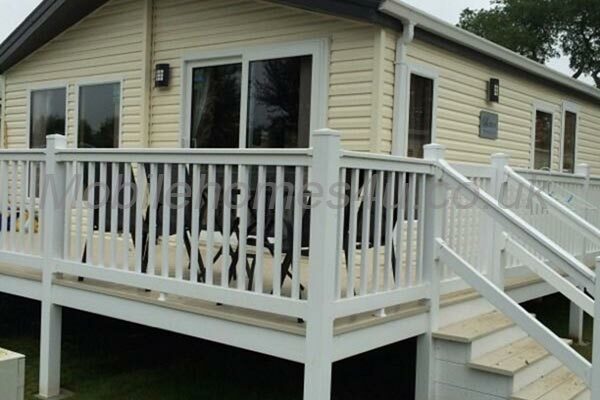 The caravan has electric heating throughout and tall slim fans are provided in the summer. 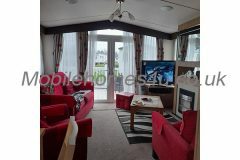 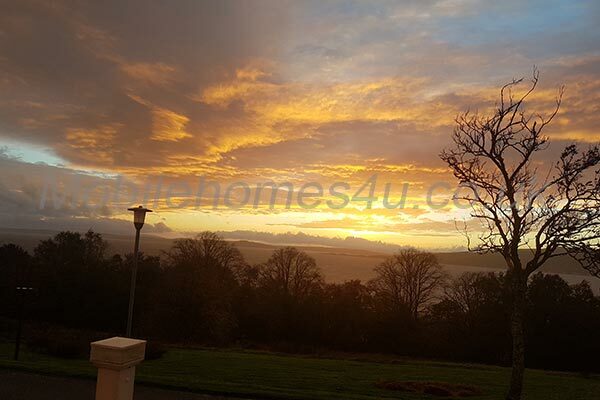 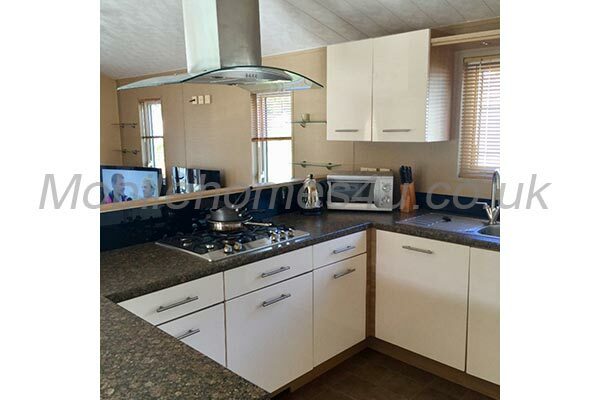 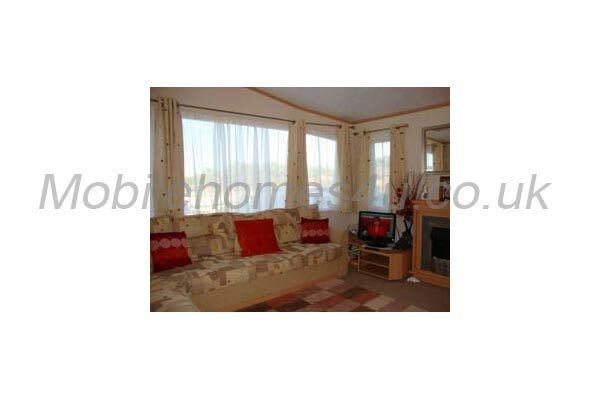 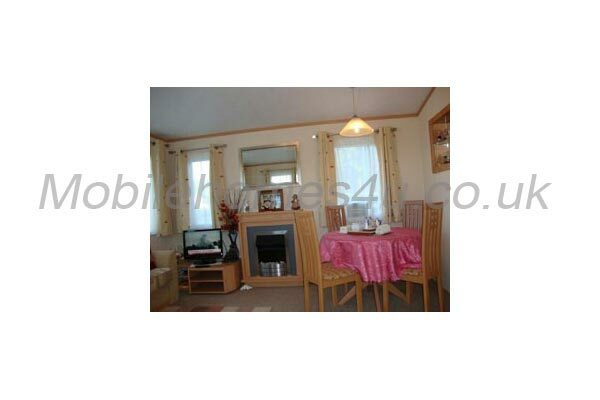 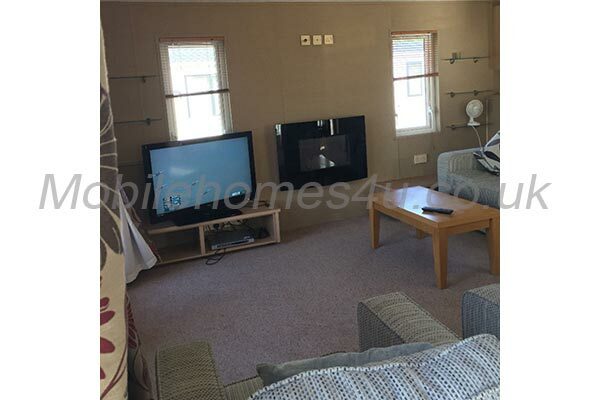 The home consists of a spacious living room with a gas fire, and has additional heating all round. 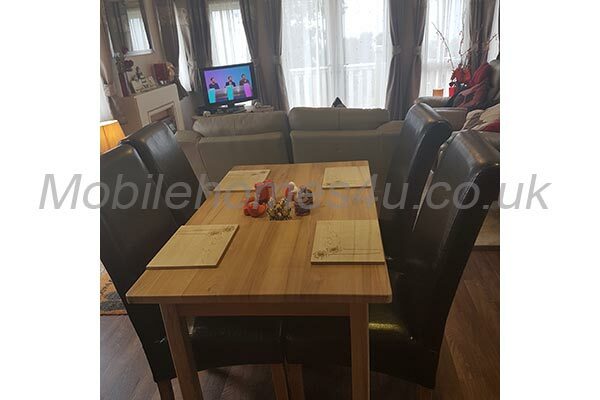 It has a 32 inch Flat screen TV inc freeview, and a DVD player, there is a Radio, free Wi-Fi available, dining table with chairs, We also provide a huge range of DVD's and games for all the families entertainment, including cards and dominos. 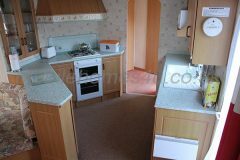 The kitchen is well equipped and has plenty of cupboards great worktops for cooking it has a fridge with freezer compartment, 4 gas hob cooker with oven and separate grill, microwave, sandwich toaster, bread toaster, kettle, coffee/tea pots, there are sufficient pans for cooking as well as Pyrex dishes and bowls, and plenty more - sufficient cutlery & crockery are also provided, we provide an iron and ironing board, hairdryer and Hoover. 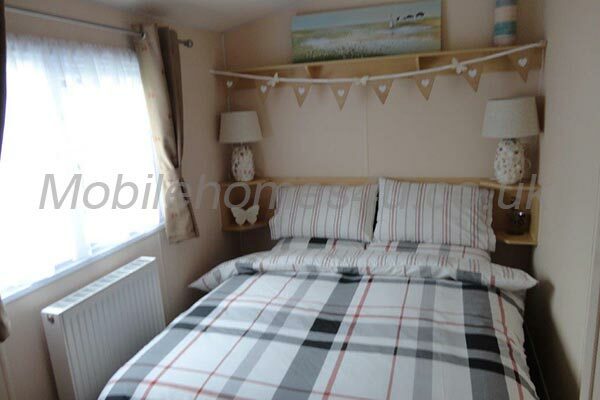 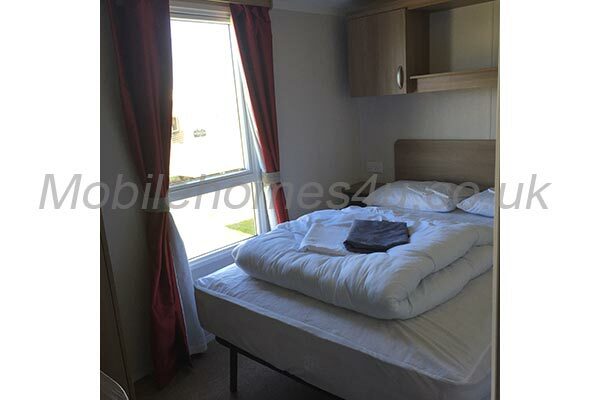 There are 2 bedrooms the main double bedroom which has a dressing table, double wardrobe and plenty of cupboards, the other with twin beds again with cupboards and a wardrobe. There is also an additional pull out bed in the lounge meaning the home can sleep up to 5. 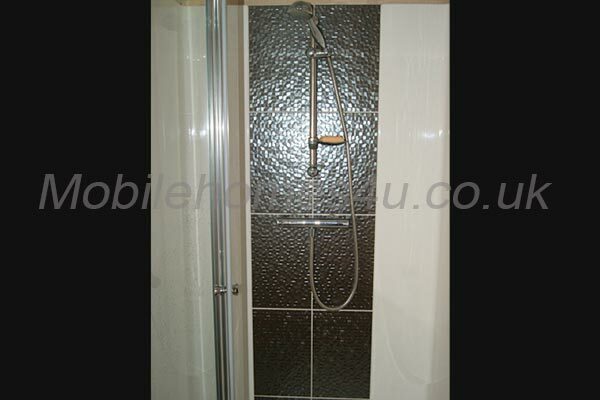 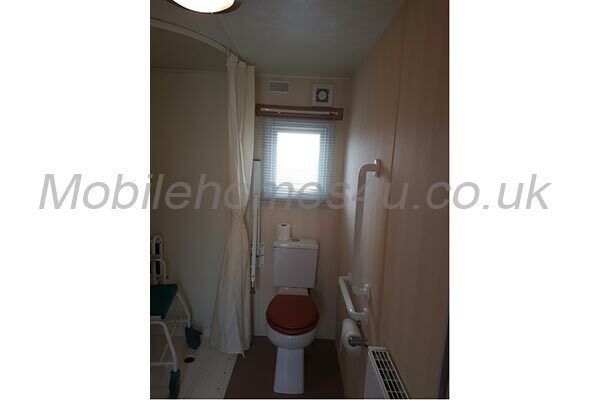 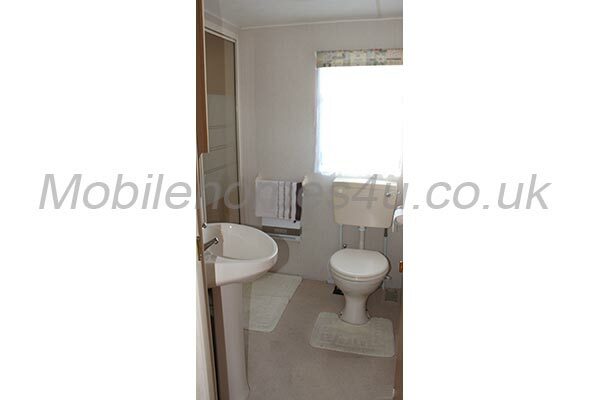 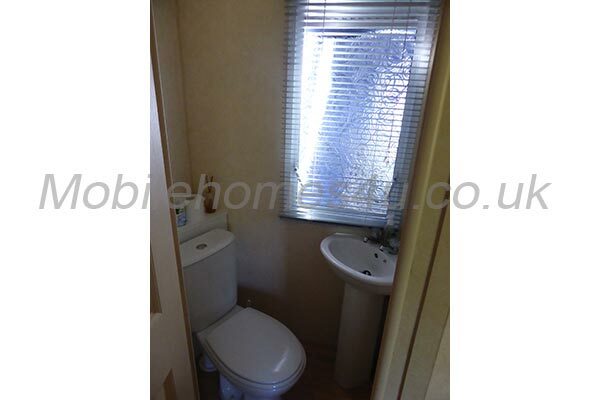 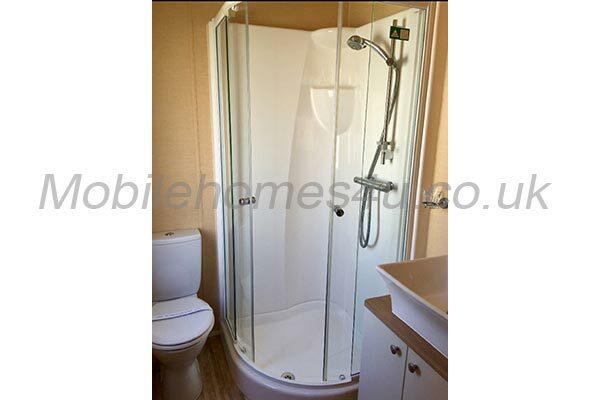 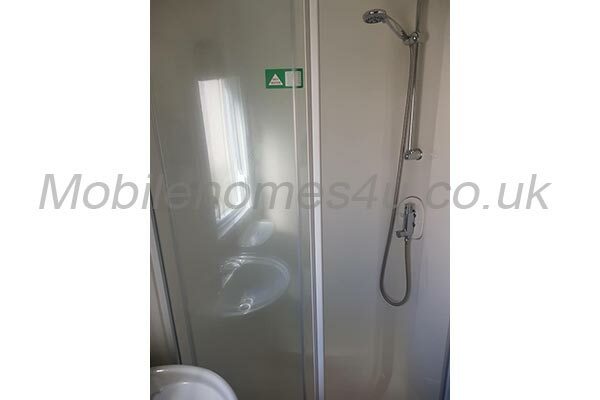 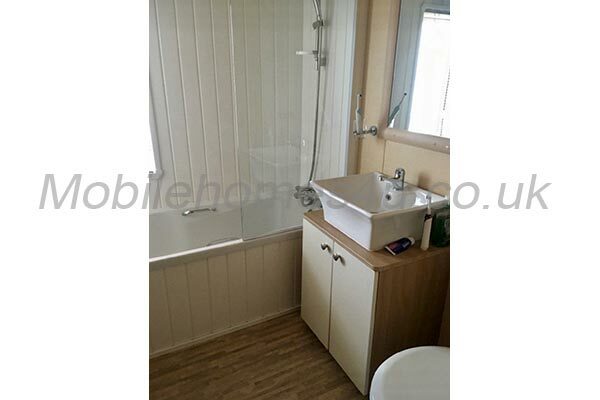 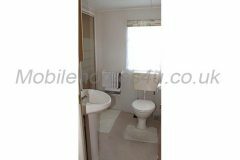 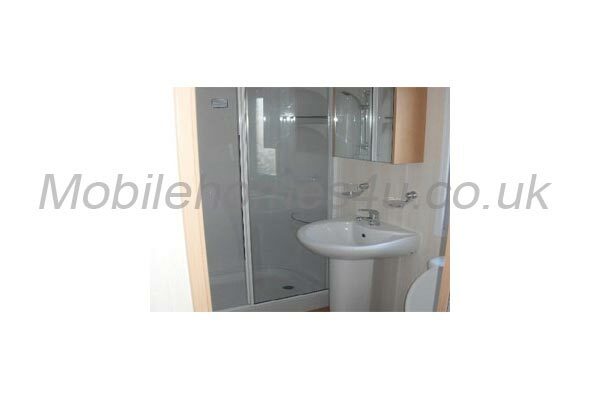 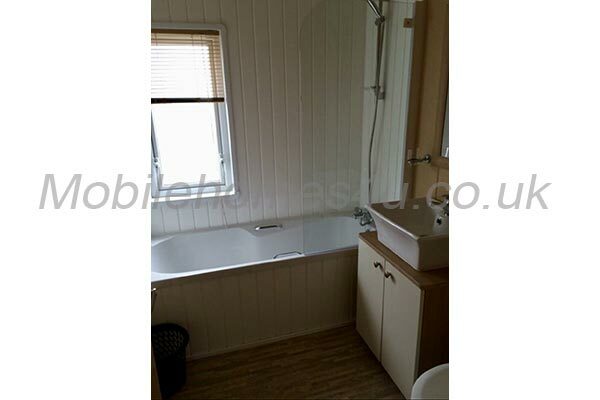 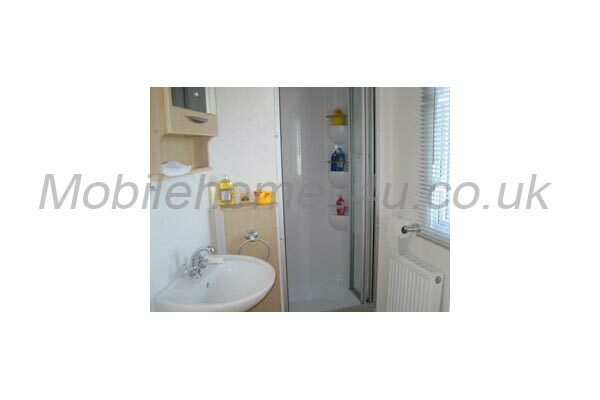 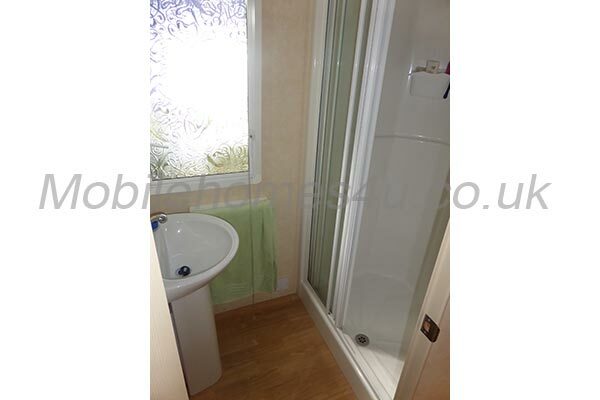 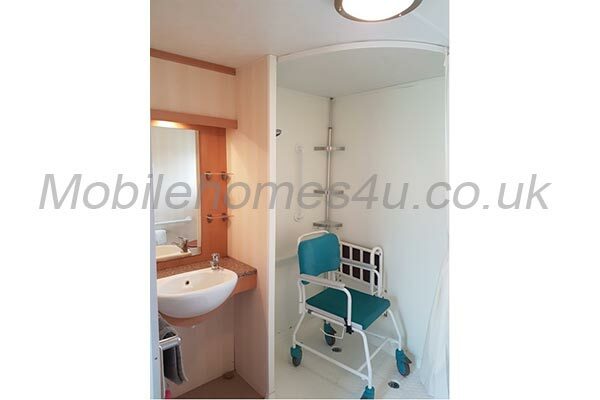 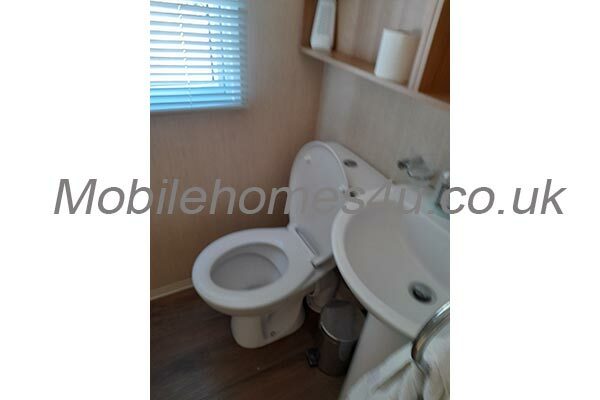 It has a spacious Shower room with toilet and wash basin. 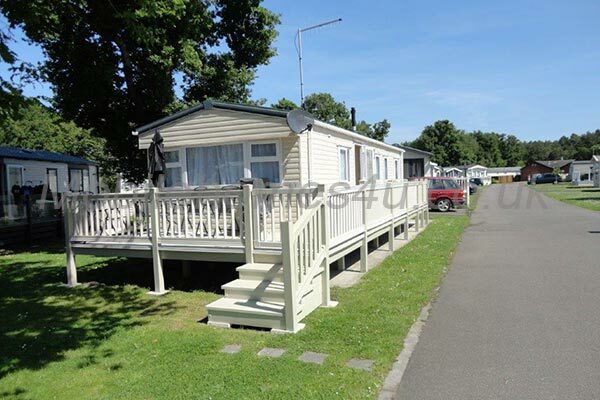 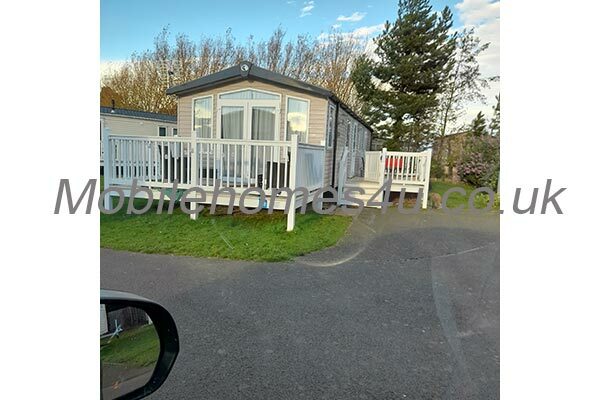 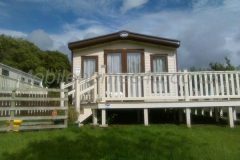 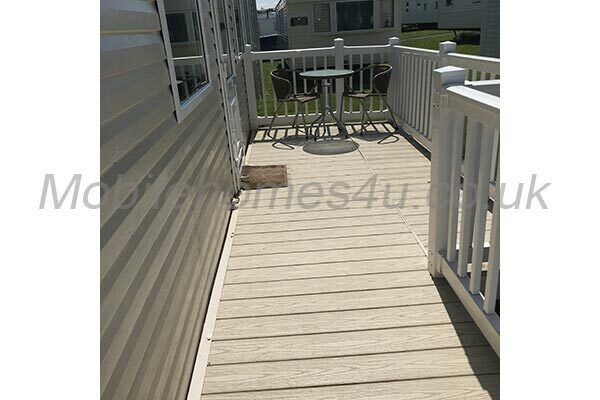 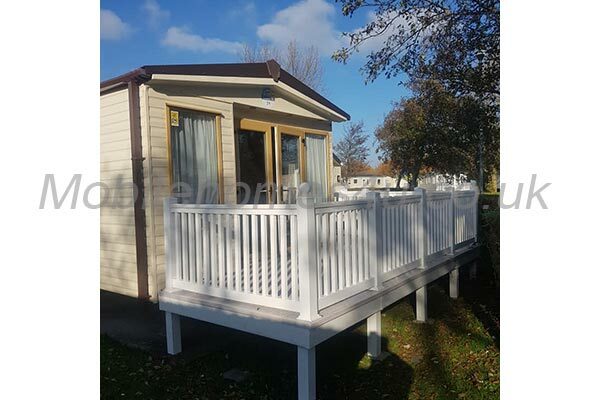 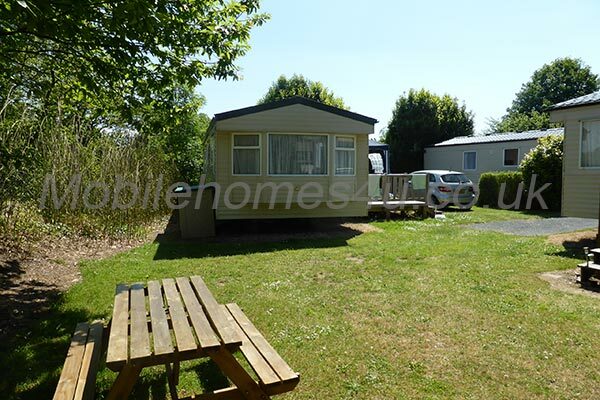 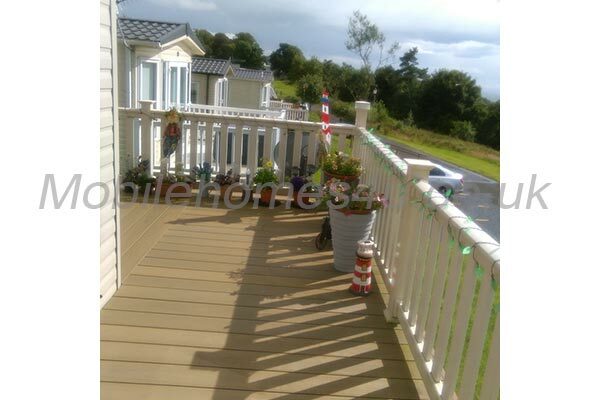 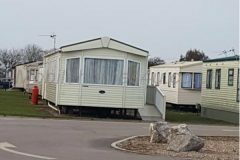 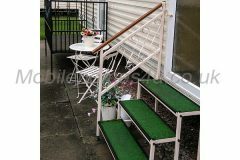 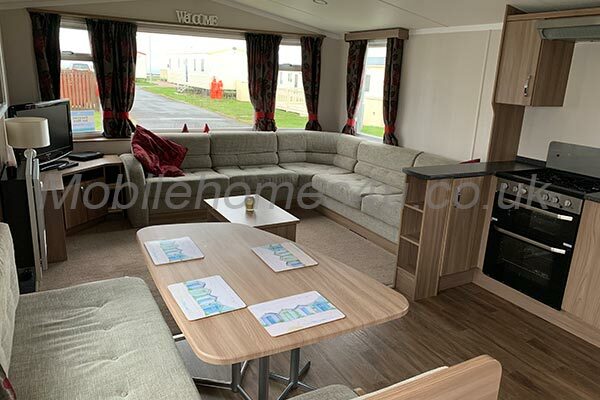 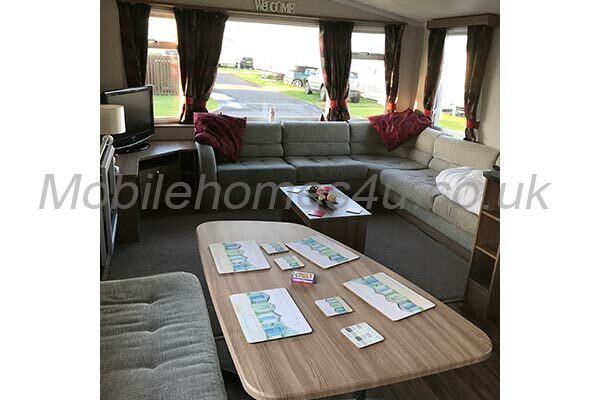 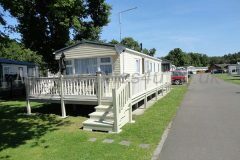 With its own large grassed area outside, there are 2 garden benches, garden table and chairs and a sun lounge - private parking outside the caravan. 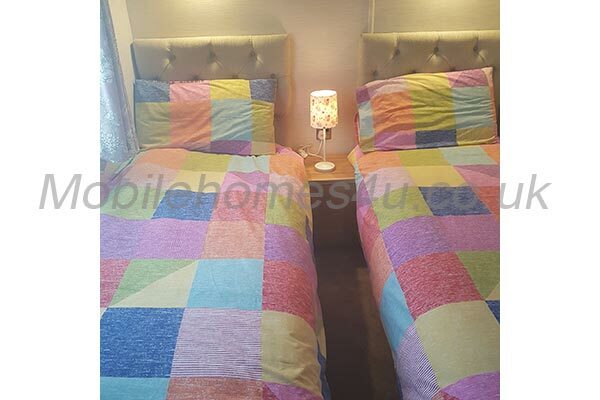 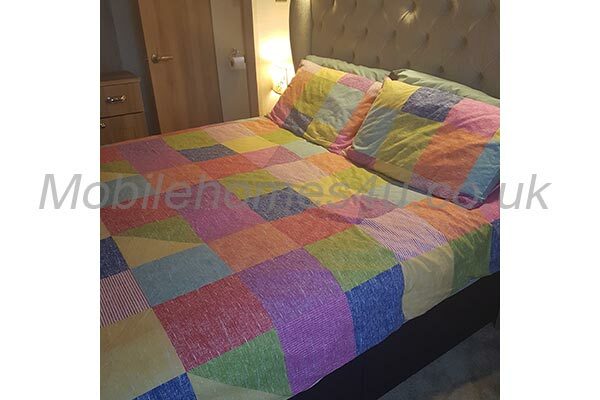 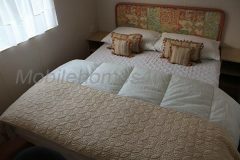 We supply - 1 x Double Duvet 4 x Pillows Plus Mattress and Pillow Protectors for the Main Bedroom and 1 of each single Duvets plus Pillows and Protectors for the Twin Room (the twin beds will pull together to make one double bed). We hope you enjoy your stay here and also that you please leave this caravan clean and tidy as you find it. 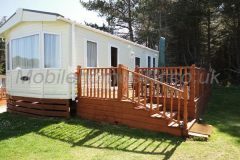 Sorry NO DOGS are allowed to be brought to the park I'm afraid - You will see some around as Only Owners of the caravans at Bryn Morfa are allowed. 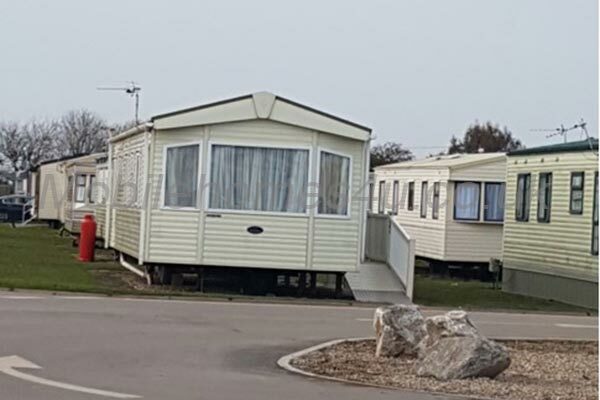 Please Note: We will only hire out this caravan to people who are considerate to everyone else on the park - also that children need to be supervised.